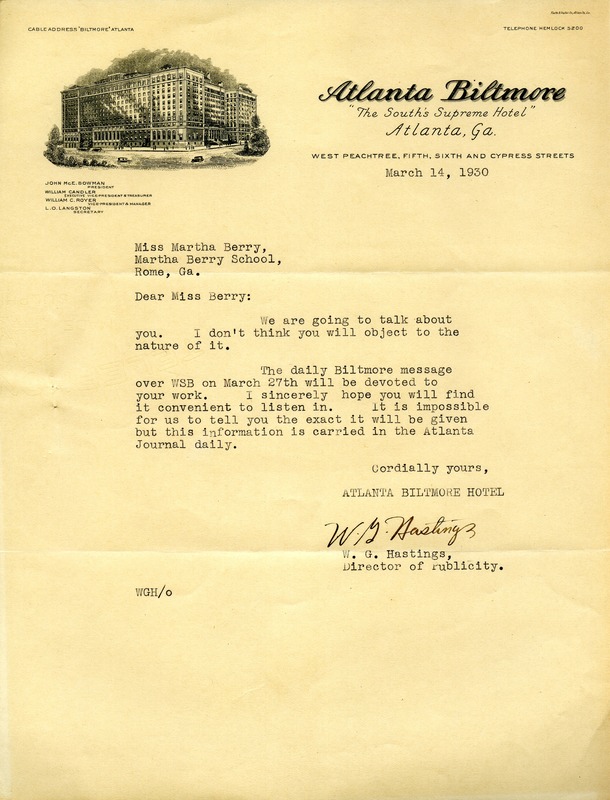 Mr. Hastings writes to tell Martha Berry they are going to talk about her in the daily Biltmore message in March. W. G. Hastings, “Letter to Martha Berry from W. G. Hastings.” Martha Berry Digital Archive. Eds. Schlitz, Stephanie A., Chelsea Risley, Aaron Jackson, et al. Mount Berry: Berry College, 2013. accessed April 26, 2019, https://mbda.berry.edu/items/show/12791.